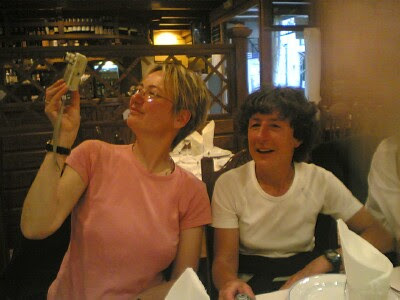 Here is a photo during the camino in 2006. Bénédicte left and Rosalinda on the right. I'm a Singaporean college student currently at Wesleyan University in the US planning on doing the Camino in May. Was doing some research and your blog popped up, and I was wondering if I could ask for some advice from someone who's done it before. Hope to hear back from you.